Y2 and Y3 cases is stopped production because of equipment defects. To adapt the rapid development of the video surveillance industry, analog products and networking digital products technology trends are increasingly evident. In order to meet the industry is undergoing with a revolutionary change. Enxun is making the adjustments of the strategic and with an innovation change from a single analog products extended to the digital and network area, to joint development of "digital, network, intelligent, integrated" business. We will also continue to enhance the user experience, create maximum value for our customers, enrich life through communication, and improve work efficiency. 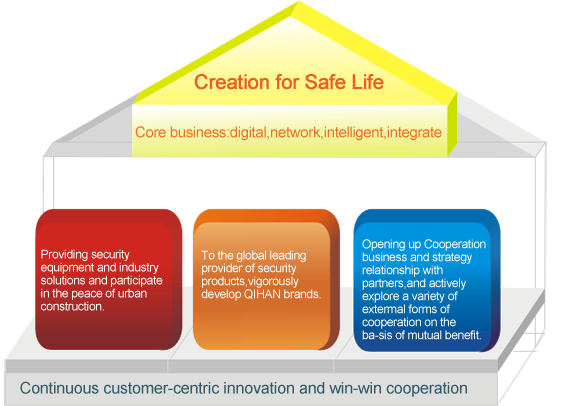 Enxun is making the “Creation for Safe Life” for the vision and concentrate on making the key breakthroughs and methods lead to get rid of competition in the market of low-level, creating a new situation for Qihan.